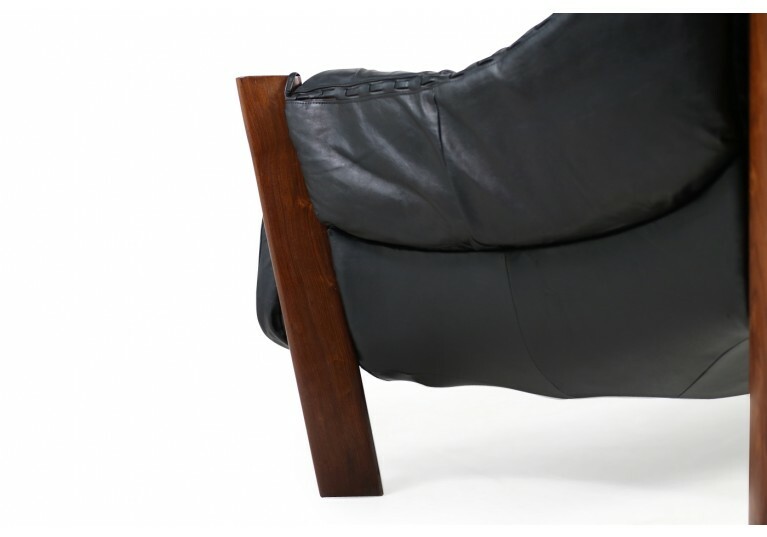 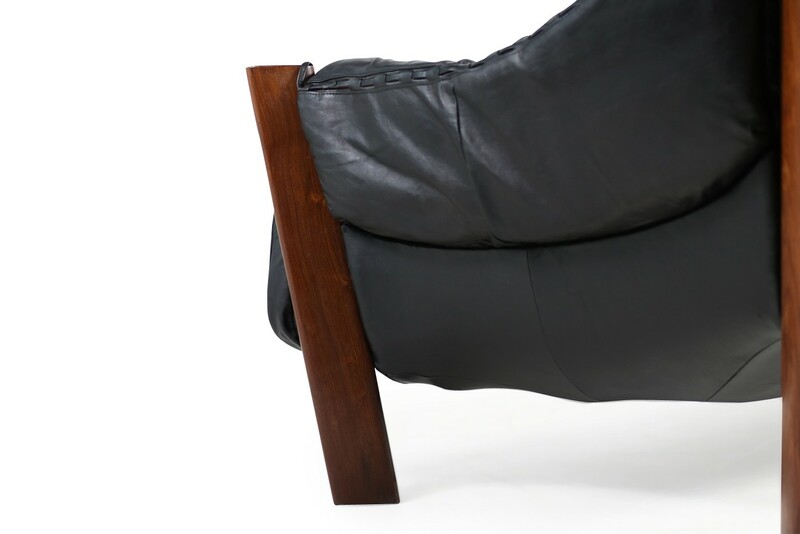 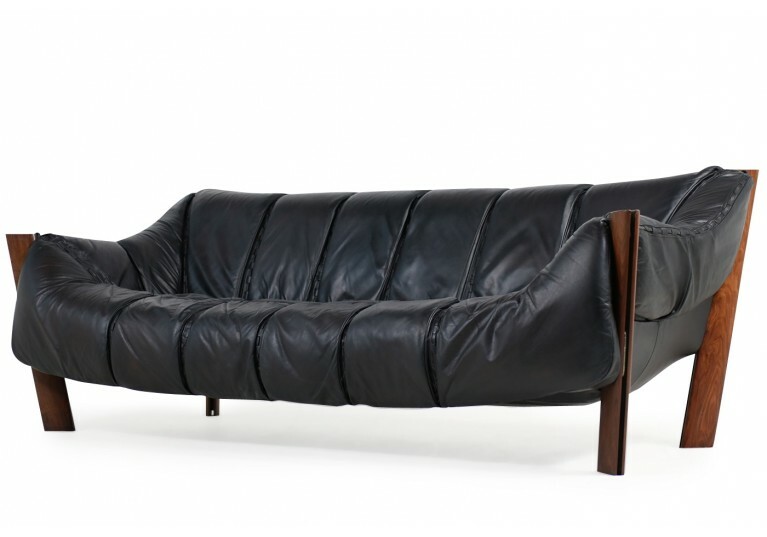 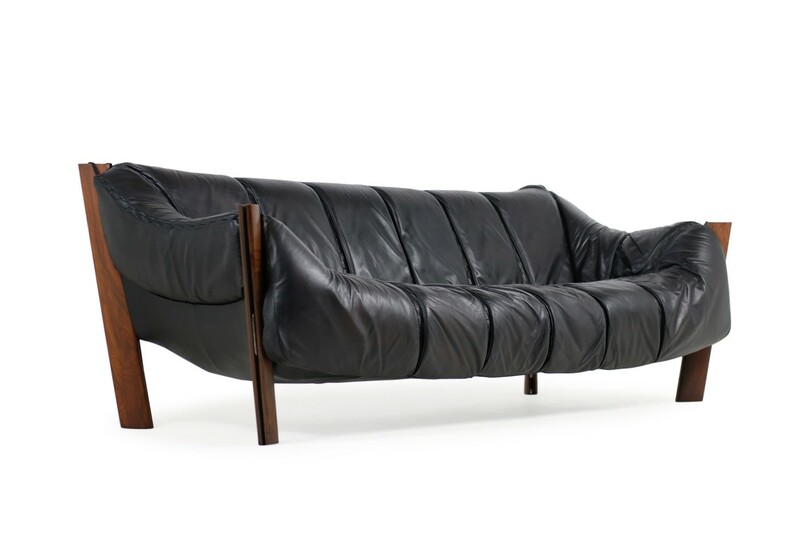 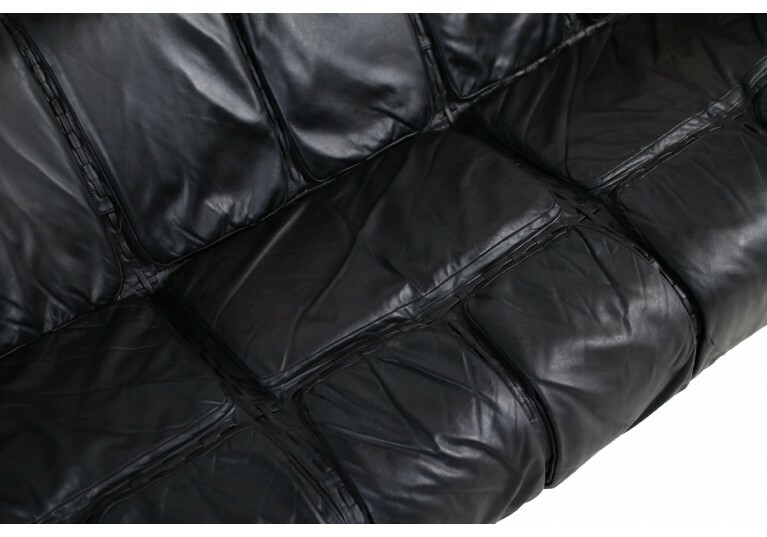 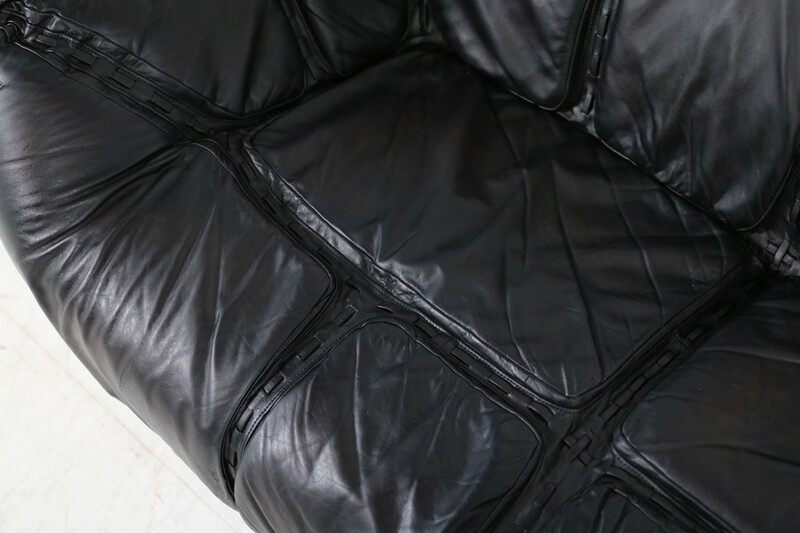 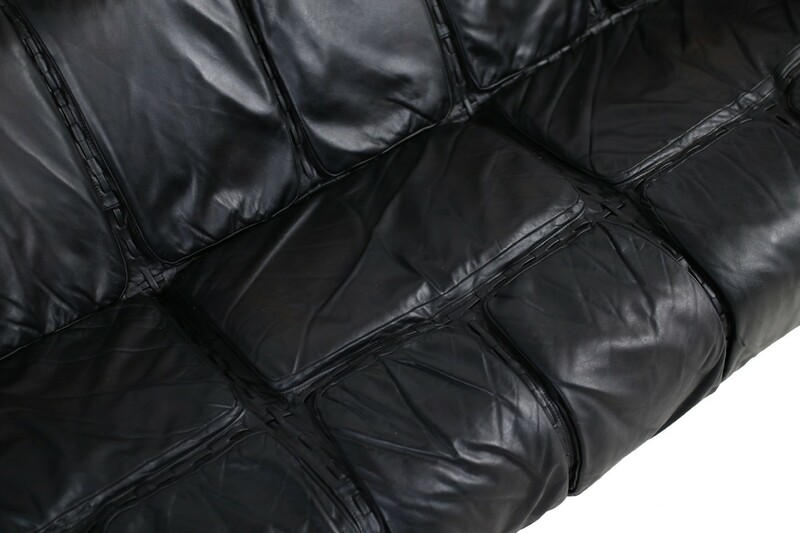 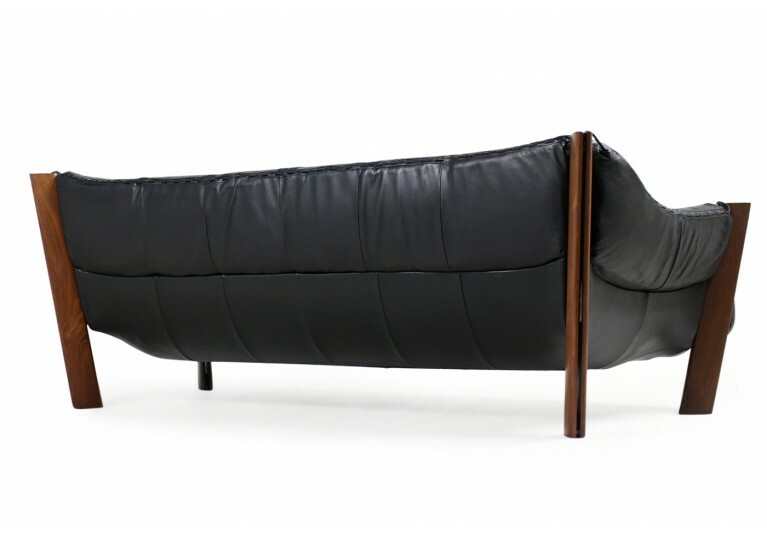 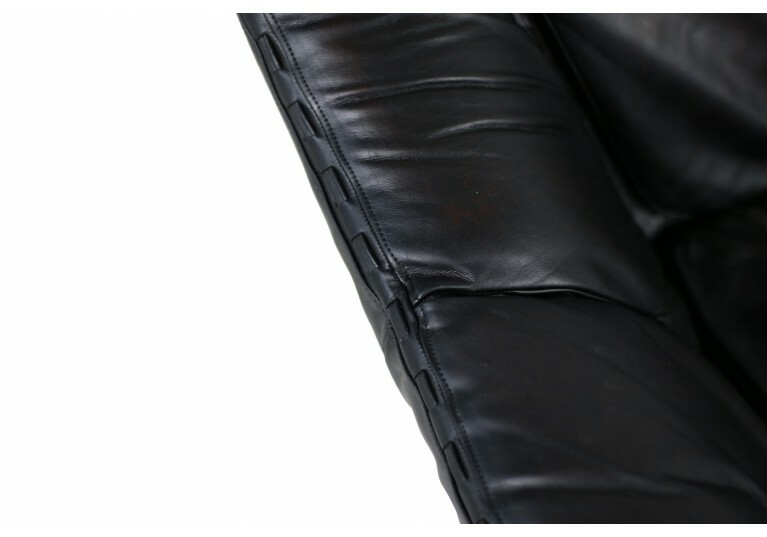 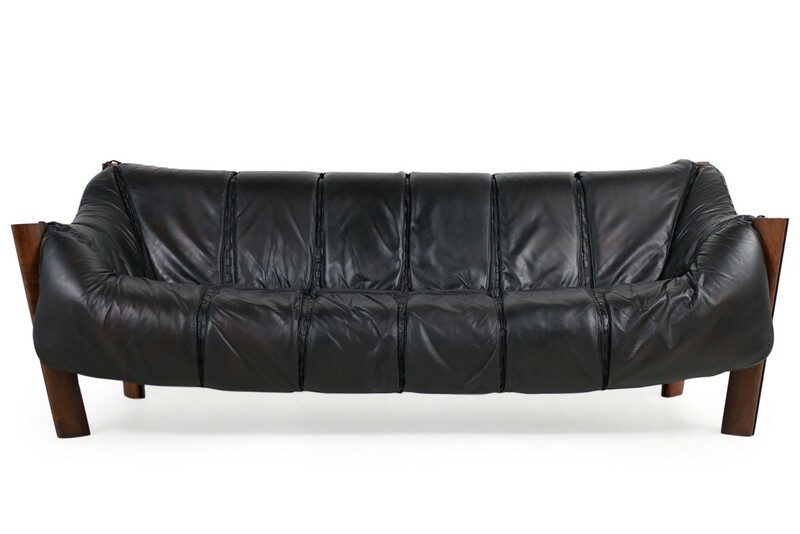 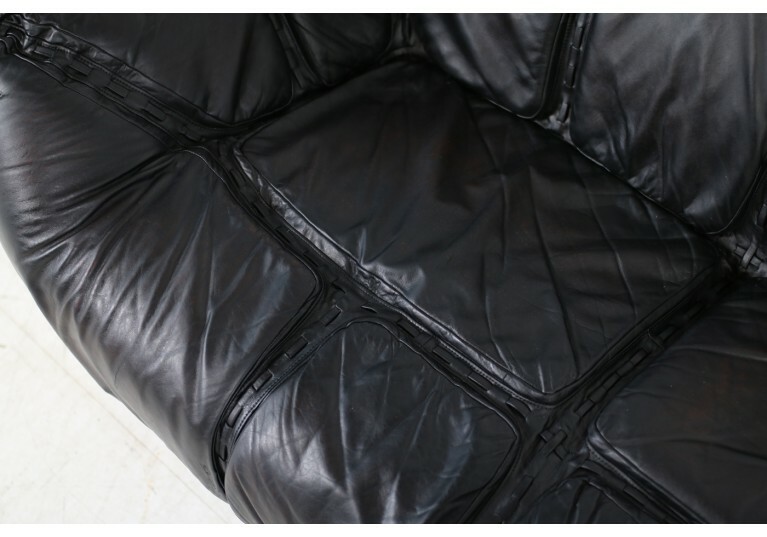 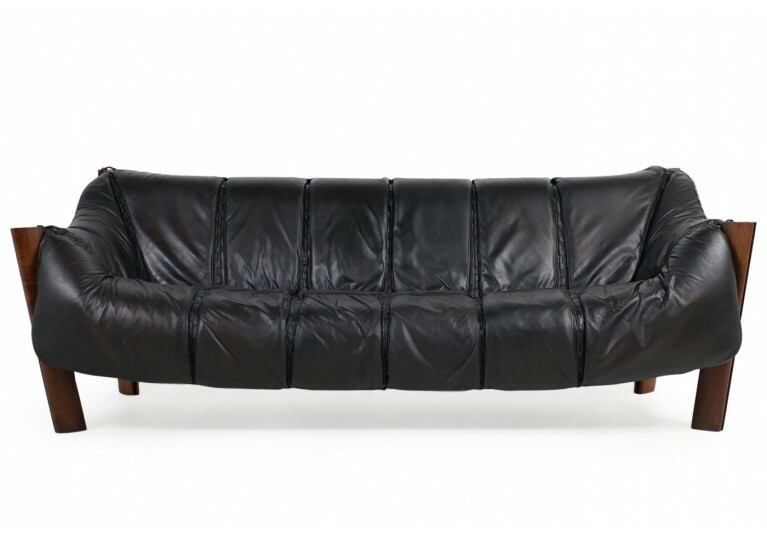 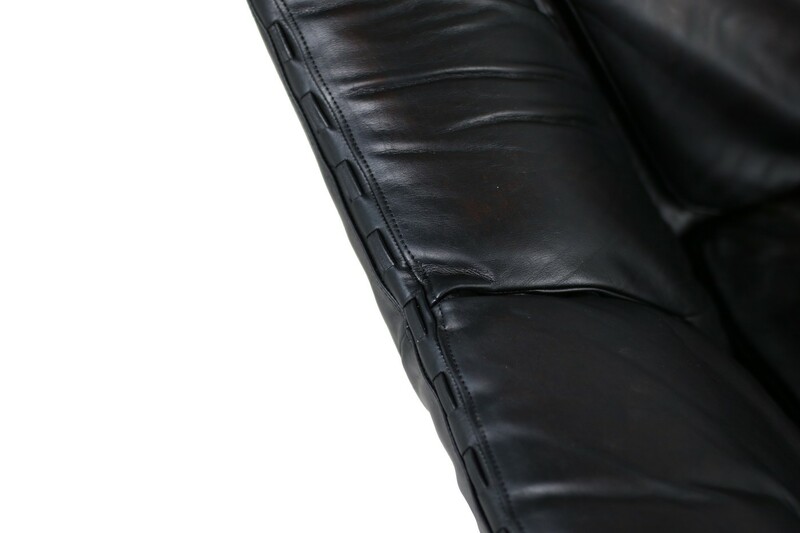 Beautiful vintage lounge sofa by Percival Lafer, designed in 1974 in Brazil, solid wooden jacaranda base and leather. 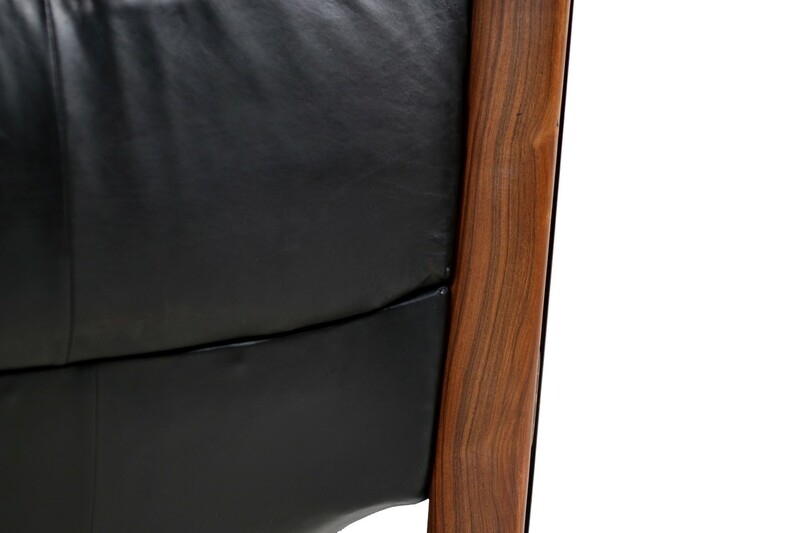 Fantastic patina, great condition, good upholstery. 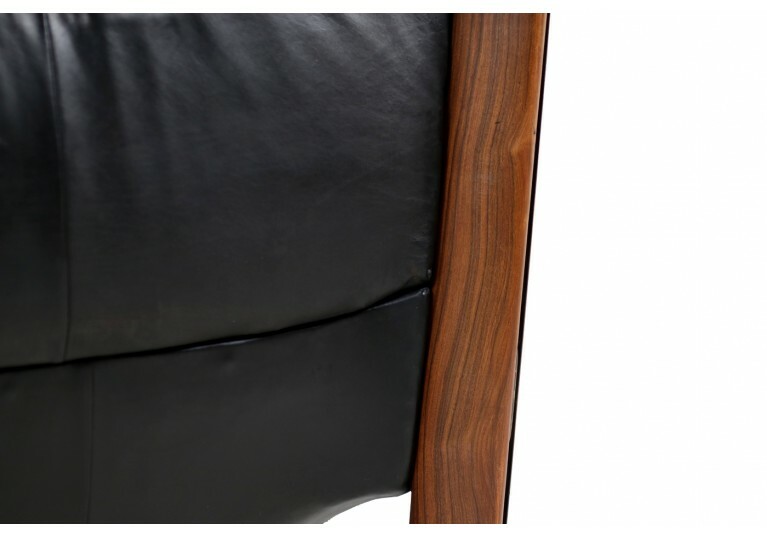 Matching set of 2 chairs & ottoman available.